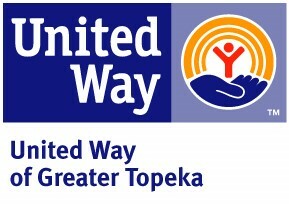 HOPE – Housing & Credit Counseling, Inc.
HCCI, in partnership with United Way of Greater Topeka, offers families and individuals the HOPE (Helping Ourselves to Prosper Economically) program. Participants work with a team of professionals who are committed to helping families reach financial self-sufficiency. Improved savings, debt levels, and credit scores. During this 6 to 12 month program, participants receive individualized budget counseling from a certified counselor, as well as a personal financial coach. The HOPE program is offered in Shawnee County Kansas. 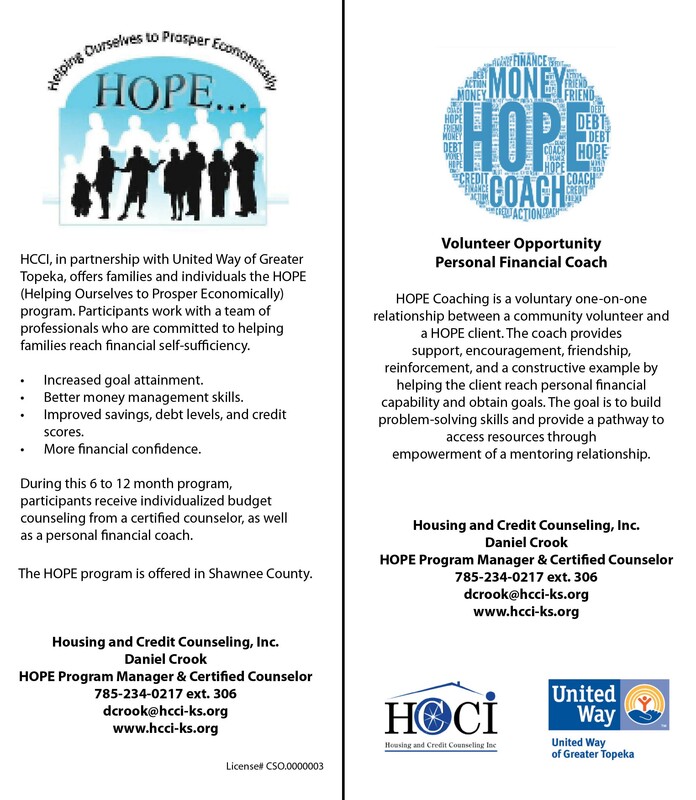 HOPE Coaching is a voluntary one-on-one relationship between a community volunteer and a HOPE client. The coach provides support, encouragement, friendship, reinforcement, and a constructive example by helping the client reach personal financial capability and obtain goals. The goal is to build problem-solving skills and provide a pathway to access resources through empowerment of a mentoring relationship.